This August we mark a somber anniversary, 100 years from the war that would supposedly end all wars but actually unleashed still more unthinkable carnage around the world. Names like the Somme and Verdun may not resonate with Americans the way we remember Pearl Harbor or the Battle of the Bulge. But for a generation of young British, French, and German men cut down in the fields of northeast France and Belgium, these battles and many more recall the end of countless hopes and dreams. They commemorate the end of an era, the end of one world and the beginning of another, somehow crueler still. Not in medieval or Reformation times but in the age of aircraft and machine guns, the majority of the world's Christians were indeed engaged in a holy war that claimed more than 10 million lives. Jenkins spoke with me about religious dimensions to the worst war the world had ever seen, the opening act to a gory century in which Christianity receded in Europe but exploded in the Global South. 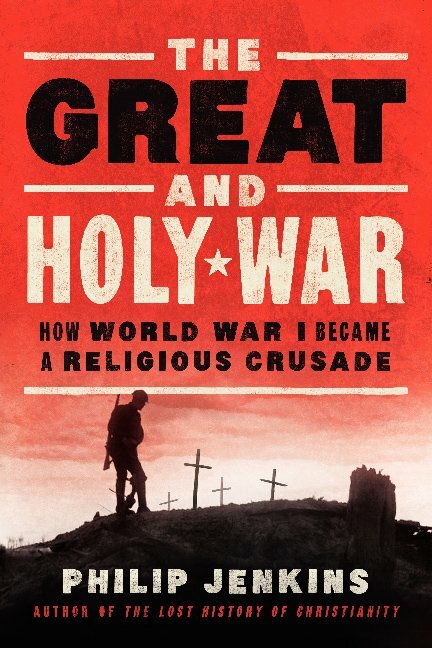 We discussed how the war actually revived religion, at least for a time, and how Christian ministers explained or justified the unprecedented carnage. We talked about Karl Barth and his response to the liberal German theologians who exulted over the war. And we considered how the war led to a more self-confident and aggressive Islam even as Jerusalem fell to the Allies, leading many Christians to anticipate the return of Jesus. You can download the interview, get more TGC audio on iTunes, and subscribe through your other mobile devices.